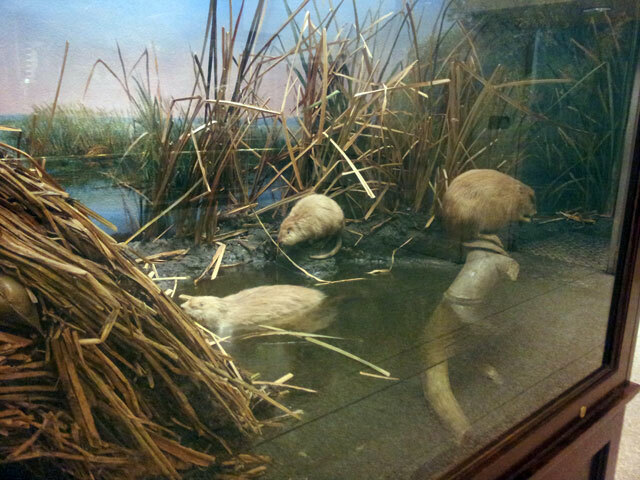 I grew up in awe of the muskrat display and other astounding (and often creepy) dioramas at the Milwaukee Public Museum. 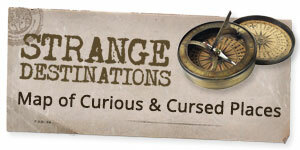 Though I have made many expeditions into it’s dark, fascinating labyrinth throughout my life, it was not until I read Melissa Milgrom’s Still Life that I realized the significance of this work. 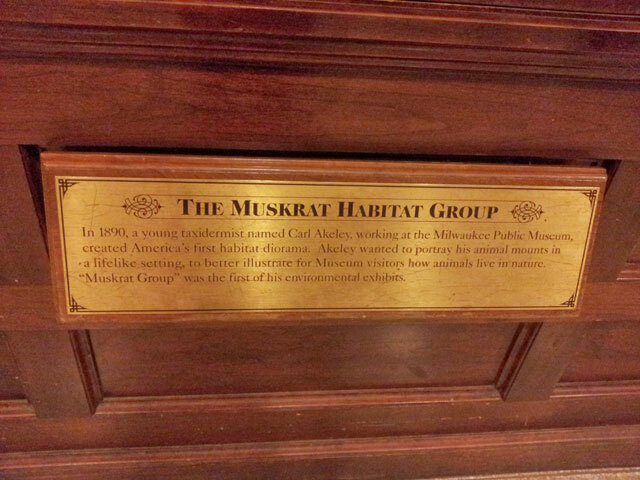 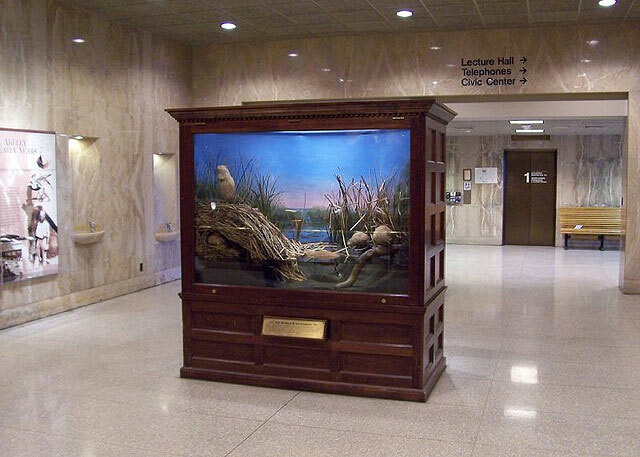 Legendary taxidermist Carl Akeley created the muskrat case in 1890 while working at the Milwaukee Public Museum. 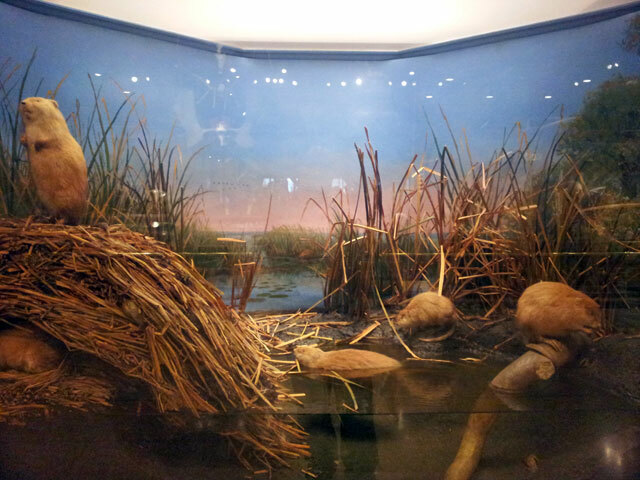 It was the world’s first habitat diorama, and went on to inspire exhibits around the world. 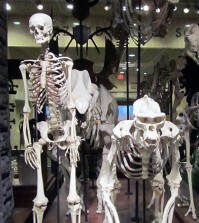 Akeley eventually ended up at New York’s American Museum of Natural History. 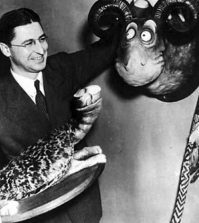 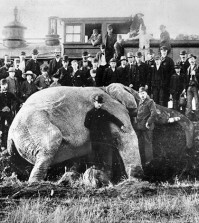 His masterpiece is the Akeley Hall of African Mammals, though he died of a fever during an expedition in the Congo before it was completed.